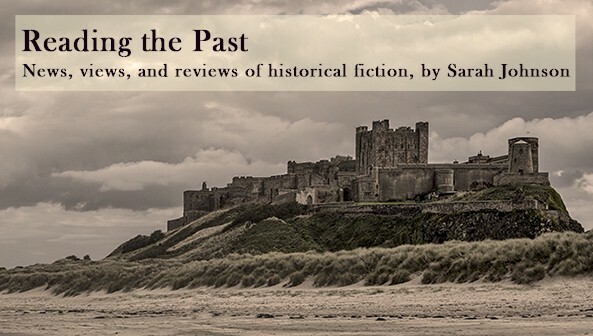 The year 2014 marks the beginning of the 100th anniversary of the Great War, aka World War I, and a number of new historical novels evoking the period have been released or will be soon. While many "Downtonesque" novels (see part 1 and part 2) can be said to fit this category as well, the books in the following post tend to focus on the war itself rather than on the English aristocracy or upstairs-downstairs drama on grand country estates. This is the first of two posts, mainly because of length. If you've already read any of these, please feel free to comment! As World War I moves full speed ahead, an American spy climbs aboard the Lusitania in pursuit of a supposed SS agent and becomes entangled with a secretive actress as well as underground politics in Britain and the Middle East. This international espionage thriller is book 2 of the Christopher Marlowe Cobb series, following The Hot Country. Mysterious Press, August 2013. A father from Nova Scotia travels to London in 1916, hoping to become a cartographer while searching for his wife's brother, but instead gets thrust directly into the fighting; meanwhile, his son attempts to hold down the fort back home in their small fishing village. This literary family saga, a debut novel, juxtaposes life in the trenches with scenes back at home, where pacifist sentiment vies with patriotic fervor. Norton/Liveright, October 2013. From one of my favorite thriller authors (I read his contemporary novels too!) comes a new tale of historical espionage set in Paris just after the Great War. As the diplomatic community decides how best to keep Germany manageable and powerless, the pilot son of a British diplomat determines to solve his father's murder whatever the cost. I understand this is the first book in a series, so expect some loose threads at the finale. Bantam UK, August 2013. In 1920, three women of London struggle with their day-to-day lives after enduring considerable wartime loss. As they slowly awaken from their dreary existence, it becomes clear that their stories are twisted together more closely than they know. Hope, an English actress and writer, plays upon the triple meaning of her title ("emerge or cause to emerge from sleep; ritual for the dead; consequence or aftermath") in her involving debut novel, which I've read and can recommend. Random House US / Doubleday UK, February 2014. British war widow Stella Nolan not only has to face the loss of her husband, who she had married after a brief but exciting romance, but she also must move in with her in-laws, who aren't exactly thrilled about at welcoming her into their home. The latest gentle romance from a prolific author of British sagas. Severn House, August 2013. Renowned author Keneally presents an Australian viewpoint of the war's front lines in his story of two sisters, both nurses, who travel from their family's dairy farm in Australia to help with the war effort in the Dardanelles and in France. Atria, August 2013; also Sceptre (UK), October 2012, and Vintage Australia, June 2012. In this adventurous and suspenseful story of love during wartime, a wounded British lieutenant now serving in a dangerous role – a balloon observer high above the Ypres Salient – tumbles down into enemy territory and is rescued by Belgian farmers. With the unique perspective of Long's protagonist, this one would be on my list even if I hadn't previously loved his time-slip novel Ferney. Quercus (UK), March 2014. In this debut from Australian writer MacColl, which celebrates the courageous roles and actions of women during the war, an aging widow from Brisbane reminisces about her service in France, when she worked in a hospital for wounded soldiers while searching for her younger brother. Penguin, September 2013; also Allison & Busby, March 2013, and Allen & Unwin (Aus), October 2012. I'm currently reading In Falling Snow. And this is a great list! Thanks for sharing! Thanks, glad you liked the list! In Falling Snow is one of the few I have a copy of already - I've been hearing good things about it. I just finished it. And ditto! Love this subject! I like that it's highlighting that aspect of the war - before recently, there weren't many novels that covered women's experiences serving in WWI. "...an American spy climbs aboard the Lusitania in pursuit of a supposed SS agent..."
Hello??? Since the Lusitania was sunk in 1915 and the SS was not formed until 1925, I would love to know how that happened! Thanks for pointing that out! The mention of the SS was in the blurb, but searching for that term (or Schutzstaffel) in the Google Books preview doesn't bring anything up, so it could be an error on the jacket description. I haven't read the book myself. The SS is also mentioned on the Amazon blurb and I read the first few pages of the book to check on this as well. It's interesting because I've spent the last 6 years of my life immersed in WWI and now know there were so many embedded German spies already in the US/Latin America/the Caribbean (See "The Enemy Within" by Capt. Henry Landau) that it seems almost laughable that in the decades before the establishment of the CIA the US Govt. would send an officer on board the Lusitania to shadow a suspected German agent on a ship the Germans had specifically targeted for sinking (the German Govt. published articles in NY newspapers threatening to sink the Lusitania before they actually carried out the threat.) when they could have simply prevented him from boarding the ship and confiscated his luggage to check for bombs. Interesting plot, though. Hmm, maybe someone should let the publisher know this. The title is included in the Edelweiss database so that would be an easy way. But yes, it's laughable about the error. Books aren't edited and fact-checked like they used to be. The author's previous books are more literary fiction, so perhaps he didn't do his research closely enough. Thank you for posting this! These novels look wonderful. I am always so anxious to get my hands on WWI novels since I don't know all that much about the Great War. Wow, both of these lists have now added a ton more books to my wishlist! Thanks so much for bringing them to my attention!